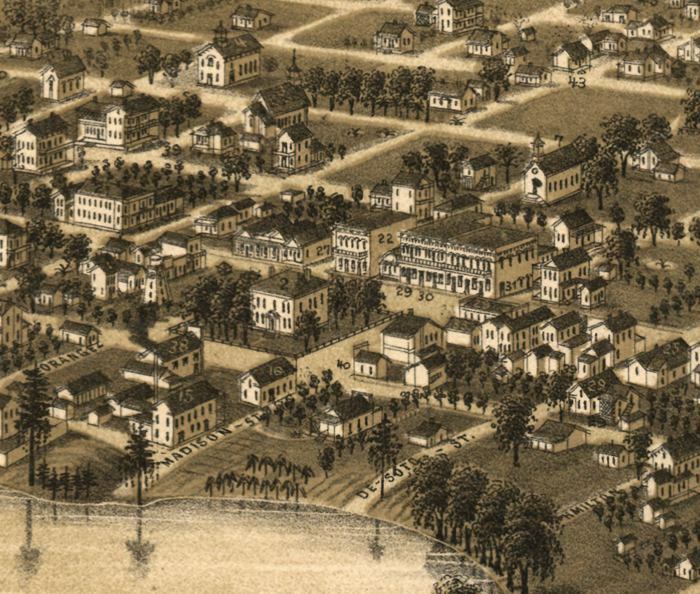 Description: This detail of a map of a panoramic view of Lake City, the Columbia County seat, is current to 1885. Centered in the map is the County Courthouse, labeled with a 2. The shore of De Soto Lake skirts the bottom of the picture. The map is from a bird's-eye-view and is drawn to perspective rather than scale. The perspective is from the northeast to the southwest.